Sometimes less really is more and this simple flapper headband with rectangular diamante decoration is made for those wanting to add a bit of bling without going OTT. Often vintage headpieces can be verging on fancy dress and, quite frankly, that is not what we are about. We are about making vintage style accessible and on trend so this silver sparkly hairband is a delight to behold as well as nailing this seasons strong, simple shape trend. 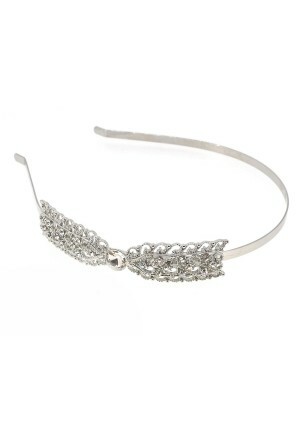 We are wearing this art deco headband with literally everything from skinnies and a shirt to our favourite LBD. So, even those this pretty vintage headband is budget friendly you also get so much wear out of it - perfect! 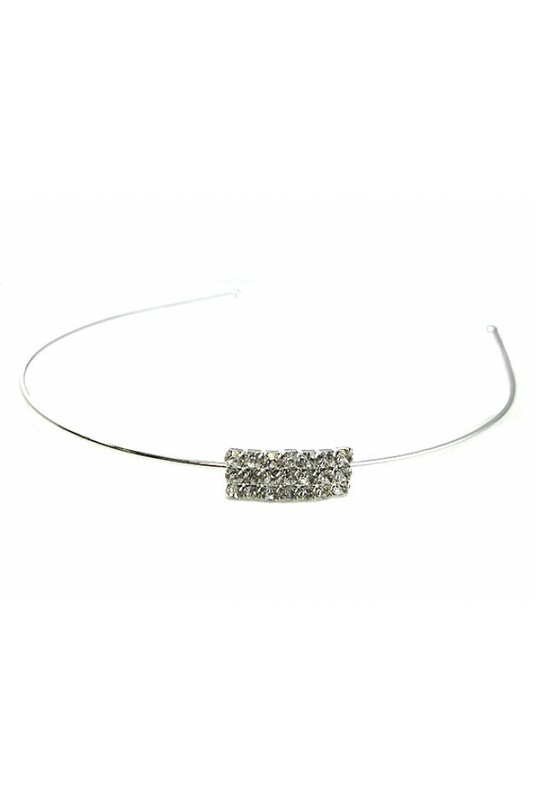 This is a silver band with rectangular side piece featuring rows of circular diamantes.